Luxury expedition cruise specialist Silversea has established a new leadership training academy aimed at recruiting and developing high-quality talent from across the globe to join its expedition teams. Every Silversea expedition voyage features expedition teams, which include some of the world's most knowledgeable and experienced specialists in the areas of wildlife, biology, anthropology, geology, history, and more. These expedition experts provide activities designed to ensure an enriching experience for guests, offering lectures, workshops, Zodiac® trips and nature walks. The multiphase recruitment and training initiative begins with remote skills development through webinar sessions focusing on various aspects of working as a Silversea Expedition guide including life at sea and guest relations. Practical experience will deal with the fundamentals of boat handling, first aid, and safety at sea courses and certification. Recruits participating in the program will be invited to train for approximately six weeks aboard the newly refurbished Silver Cloud when the ship joins the expedition fleet in mid-November 2017 for her first season in Antarctica. Aboard Silver Cloud, core competencies will be further developed through intensive hands-on training. Attention will also be given to cross training in various academic disciplines, environmental and ecological knowledge, sustainability protocols and cultural sensitivity. In addition, further skills will be developed, including Zodiac® handling, practical field first aid, and "how to guide" training. Trainees will be provided with the unique opportunity to learn from experienced expedition staff as well as additional educators that will be travelling on board the vessel. After completing a tiered system of increasing responsibility, successful individuals will have the opportunity to work the balance of the Antarctic season as members of the expedition team and, ultimately, on expedition voyages to other regions of the world. 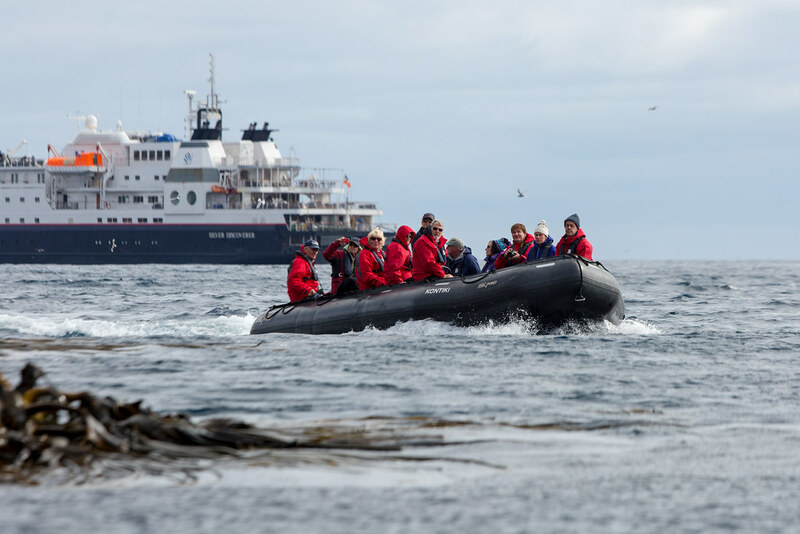 "Our new leadership training academy underscores our commitment to exploring the world with the absolute best team of hand-picked experts to guide and enlighten our guests on expeditions," said Conrad Combrink, Silversea's Vice President of Expedition planning and strategic development. "The goal is to attract candidates who are knowledgeable and passionate, and prepare them for an exciting career working aboard an Expedition ship that will take them to amazing places where they will guide our guests in understanding the local history, culture and wildlife." Individuals interested in the program may contact Silversea's Manager of Expedition product support, Kit van Wagner, at kitw@silversea.com.